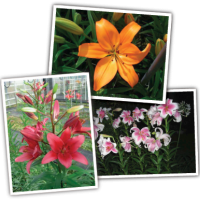 Great naturalizing lilies for Houston. Burst into brilliant, long lasting color every spring. All varieties are very fragrant. The flowers are more funnel shaped and larger than asiatics. Thicker petals also allow the flowers to be more weather resistant. 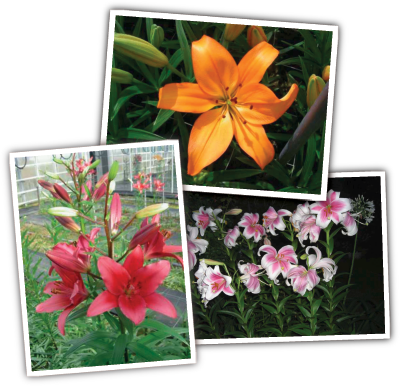 Lilies come back well if you allow the foliage to die down naturally in the fall. Each plant can reach a height of around 4′ tall.